Preserve summer fruit for healthy snacks around year. Cherry season is very short, for us who adores them, it passes in a blink of an eye. 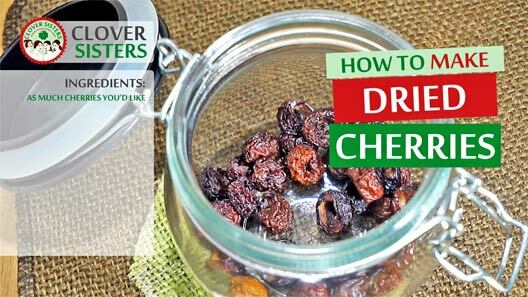 Dehydrated cherries are storable and ready for wide range of recipes in our kitchen. As much cherries you’d like. Washed and pitted the sweet cherries, arrange in the dehydrator in a way that air can circle freely. Set the dehydrator's temperature to 135 F or 60 C and leave it for 10 - 12 hours to fully dry. 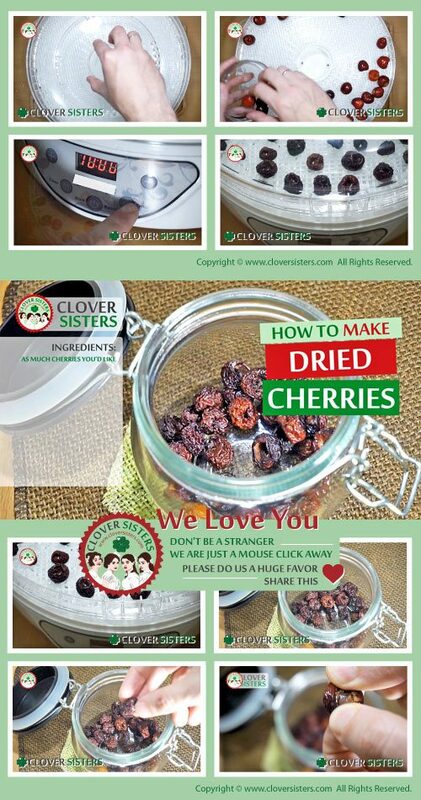 Cool cherries before using or storing.